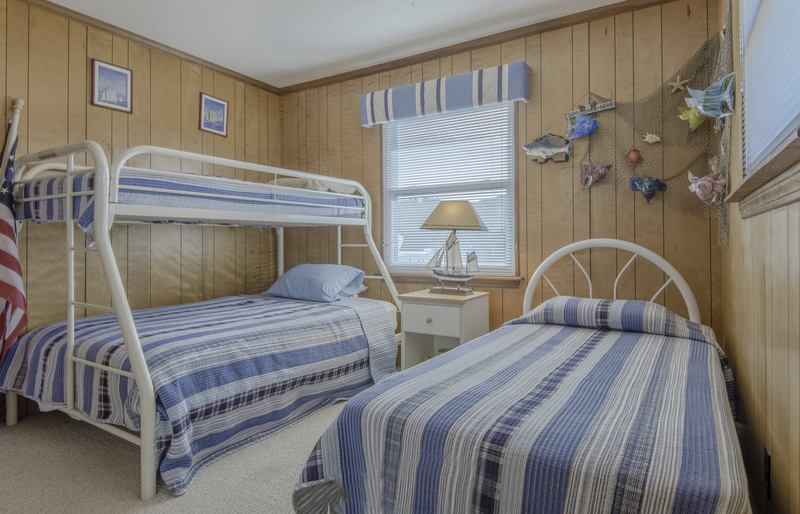 Ocean Views & Excellent Access to Beach (approximately 200 Yards to Wilkins St. Access). Traditional H-Plan that offers open living/dining/kitchen in center of home. Ground Level: Parking for 4 Cars, Steps Main Level, Laundry Area, Outside Living Area, Furniture, Picnic Table, Fish Cleaning Station, Park Grill, Enclosed Outside Shower, & 11 x 22 Private Saltwater Swimming Pool w/Pool Furniture. 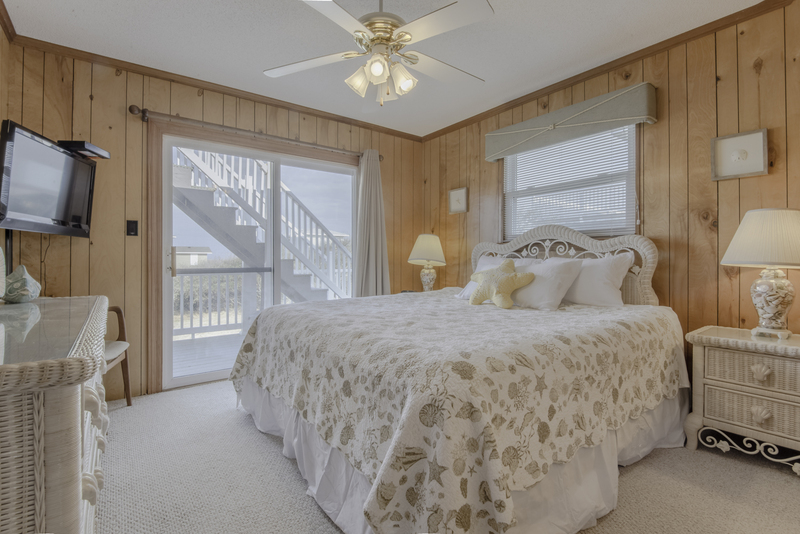 Main Level: Living/Dining/Kitchen Area, HDTV, 4 Bedrooms (1 w/King, 1 w/Duo Bunk & Single, Shared Hall Full Bath, 1 w/Queen, 1 w/2 Singles & Shared Hall Full Bath), Access to Covered Deck w/Furniture, & Steps to Observation Deck w/Horizon Ocean Views. 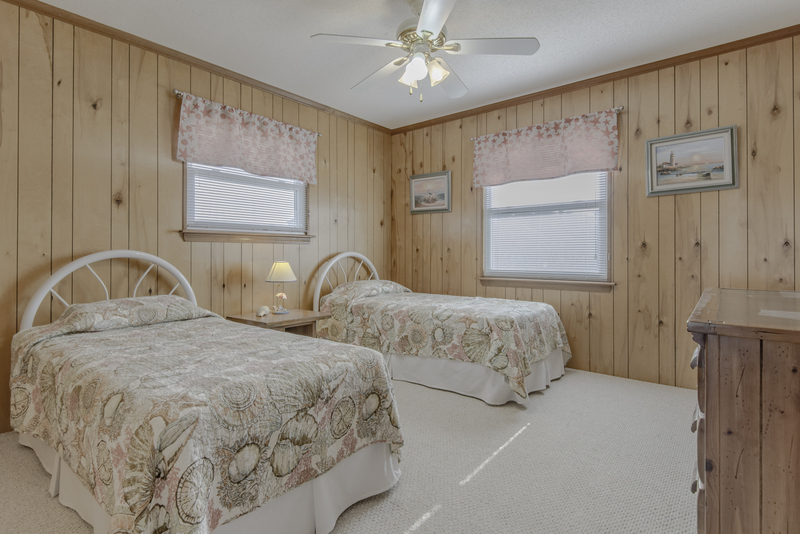 Features include: C/AC & Heat, Washer/Dryer, Dishwasher, Microwave, TVs, DVD, Phone, Ceiling Fans, Wireless Internet, Baby Equipment (Baby Gate), & Deck & Pool Furniture. No Pets. This is a Non-Smoking Unit. We really enjoyed the location/convenience to the beach and the pool/yard. A very cozy feel like home place. Very convenient beach access. Close to beach with easy access to the beach and is located on dead end street very little traffic.